I've always liked birds but I never knew just how much until I got my new camera and could zoom in close. After being in Colorado for five years, I've come to discover many birds I'd never seen before, and was delighted to have been shown this book at my local library by a bird enthusiast. When I designed my new "wildlife" web page, I needed this book even more. Finally, I could label some of the many birds species I came across, and also learn about their feeding habits and their comings and goings. 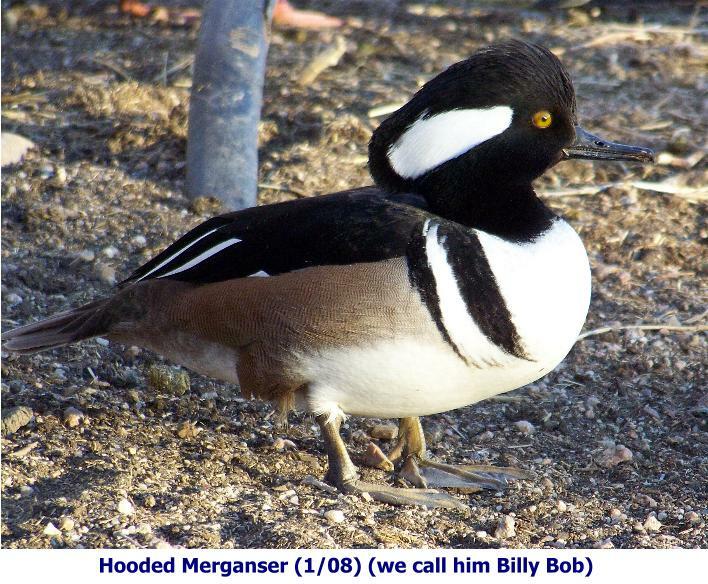 By far the most fascinating was discovering a truly beautiful bird which I learned was a male Hooded Merganser (see my picture). In the late fall he adopted a pair of Mallards and hung out with them on the pond. In the winter, he came ashore with them (and the other ducks and Canada geese) to feed on the grain I give them. Even though he eats fish, he digs into the grain. A couple of months later, I noticed there were three new males and a female, but they don't come up to eat. I can't wait to see if there will be any babies in the spring - can you imagine how cute they will be? 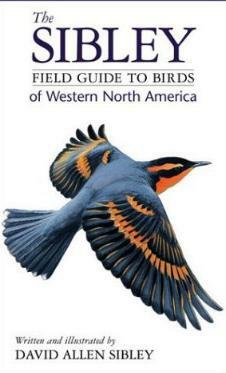 Paging through this exquisite book, I found many beautiful birds I probably will never get to see, but I'm hoping I get a glimpse in the wild of the likes of: Exotic Finches; Orioles; Spotted Towhee; Hummingbirds of any type; any Owl; Bald Eagle, Wood Duck, and many more. This might involve some travel and perhaps a zoom lens. What a joy this new interest has proved to be. Beautifully illustrated by the author. Conclusion - I don't know if I can live without this book. Simply stunning.